What Happened in 2016: Acquired from the Mariners in June for former 1st-round pick Zach Lee and spent most of his time with the OKC Dodgers. Chris Taylor had fallen a bit out of favor in Seattle. He was a former top prospect in the organization and, at one point, the future at shortstop for the Mariners. Things didn’t go according to plan and the M’s sent him to the Dodgers for another prospect who had fallen out of favor in Lee. It was a necessary trade for both teams. The Dodgers needed a little middle infield depth and Lee needed a new environment. And because I know you’re wondering, Lee didn’t fare well with Tacoma (7.39 ERA). Taylor, however, fared well with the OKC Dodgers, posting a 165 wRC+ with them. Chad wrote about the acquisition at the time. 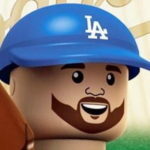 “This deal seems to be a nice bit of work for the Dodgers, as Lee has been surpassed in the pecking order by a gaggle of other pitching prospects in a thriving system and was unlikely to be a contributor at the major-league level for them. In return, the Dodgers addressed their complete dearth of shortstop depth behind Corey Seager on both the major-league roster and the advanced minors. Currently, Enrique Hernandez is the backup shortstop on the Dodgers roster and he’s not a natural there, while the only other semi-viable option at the position in either AAA or AA is Charlie Culberson. Meanwhile, the best prospect at the position for the Dodgers (besides 2016 first-rounder Gavin Lux) is probably 18-year-old Brendon Davis in A-ball. Taylor earned a promotion to the majors with his work in AAA, and while his stat line with the Dodgers doesn’t jump out at you, he had a career-day on July 15 in Arizona. He went 3-for-5 with a double, triple and a home run — which just happened to be a grand slam. That accounted for most of his offensive production in the majors for the season. He did have a 2-hit game following his offensive outburst, but he only had eight hits outside of those two games. Considering the cost to acquire him and what he provided, not a lot was expected. But Taylor will always have that game in Arizona. 2017 Status: Still a pre-arb guy (i.e. he’s making peanuts). The cost to keep a guy capable of playing a decent shortstop on the 40-man roster is minimal, so expect him to stick around. But if the Dodgers absolutely need a 40-man spot, he’ll be one of the first cuts to be considered.